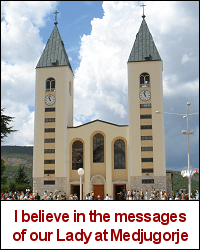 Is it heresy to reject the teachings of Vatican II? I’m not convinced that nothing was taught by Vatican II under Conciliar infallibility. However, given the premise that all Vatican II doctrines were proposed non-infallibly, can it be a heresy to reject any particular teachings of Vatican II? But even if we consider the individual teachings of Vatican II as non-infallible, it may still be a heresy to reject those teachings. Suppose that a non-infallible teaching of Vatican II is subsequently taught universally by successive Popes and by the body of Bishops dispersed through the world. If the teaching were non-infallible in its assertion by the Second Vatican Council, that same teaching becomes infallible and a required belief when subsequently it is taught universally. But it is not as if that universality were unrelated to the Council. The ordinary teaching of any Ecumenical Council certainly may contribute substantially to the universality of the teaching. And the subsequent exercise of the Magisterium by Popes and Bishops on that same point may occur as a result of the non-infallible teaching of that Council. Once a non-infallible teaching of the ordinary Magisterium is taught universally by the body of Bishops led by the Pope, then it becomes a teaching of the infallible Magisterium. Teachings that are ordinary but not universal are non-infallible; teachings that are ordinary and universal are infallible. The teachings of the Universal Magisterium are required beliefs under pain of heresy. It is a grave sin to reject any infallible teaching of the Magisterium, whether taught by Papal Infallibility, or Conciliar Infallibility, or the Universal Magisterium. But this is not a mere hypothetical. In fact, many of the teachings of the Second Vatican Council continued to be taught by successive Popes after the Council, and by the Bishops dispersed through the world. 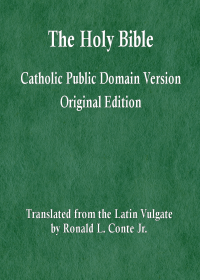 These teachings have been incorporated into the Catechism of the Catholic Church, into the Compendium of the Catechism, into the USCCB Catechism, into other magisterial documents, and into the daily teachings of the Bishops in the world. Therefore, these teachings have not been taught universally and infallibly; their rejection is abject heresy. As an intellectual exercise, we might be able to find some minor points, taught by Vatican II non-infallibly, and not yet taught universally by the Magisterium. But it is certainly the case that the subsequent Popes and the body of Bishops have continued to teach all of the main teachings of Vatican II universally, and therefore those teachings, even if they were non-infallible at the time of the Council, are now infallible dogma and required belief. Therefore, any Catholic Christian who knowingly and obstinately chooses to reject all the teachings or any of the main teachings of Vatican II, commits the sin of heresy and suffers the penalty of automatic excommunication. Furthermore, the validity of the Second Vatican Council is a dogmatic fact, under the temporal authority of the Church. And so anyone who rejects the validity of that Council commits the sin of schism and suffers the penalty of automatic excommunication. As for the Society of Saint Pius X, it could not be more clear that they have utterly rejected all of the teachings of the Second Vatican Council, including those that have subsequently been taught universally by successive Popes and by the body of Bishops in communion with him. They have therefore rejected multiple teachings that are infallible under the ordinary and universal Magisterium — even if those teachings were originally proposed by the Second Vatican Council non-infallibly. There are two types of excommunication: automatic (latae sententia) and juridical (ferendae sententia). Pope John Paul II issued a ferendae excommunication against the leaders and formal members of the SSPX, but automatic excommunication also applies because of the sins of heresy and schism. Pope Benedict XVI lifted the sentence of ferendae excommunication, but the automatic excommunication still applies because they are still unrepentant from formal heresy and formal schism. Pope Benedict XVI cleared a path for the SSPX to return to the Church by lifting one of the two types of excommunication. The other type can only be lifted by repentance and confession. But the leaders and members of the SSPX remain unrepentant. All formal members of the SSPX are automatically excommunicated for the sin of heresy, for rejecting the teachings of the ordinary and universal Magisterium taught at Vatican II and subsequently universally. All formal members of the SSPX are also automatically excommunicated for the sin of schism, since their Bishops are not in communion with the Roman Pontiff and the Bishops united with him. May God punish the leaders and members of the SSPX — and their supporters among conservative Catholics — for all the harm that they have done to the innocent sheep of the poor and weak flock of Jesus Christ.